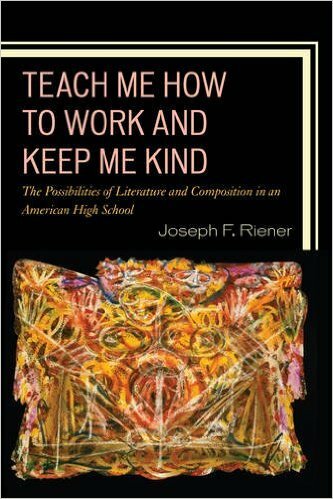 Joseph Riener has written a record of his many years as a passionate and talented Teacher-Scholar. The result is an extraordinary compendium: it is partly a guide to the array of literary works that Riener has taught, an array that reaches across centuries, countries and cultures. It is partly a guide to teachers on how to survive the depredations of the current U.S. educational system with their minds and hearts intact. And in all its parts, it is a testament to the enduring power of an intellectual committed to inspiring the minds of the future. The book discusses the content of the classes I taught. I explain my decisions about curriculum and presentation. Despite much educational discourse these days being devoted to the form of teaching, my book talks of the actual texts and what I said about them. In this manner, the two volumes argue both for trust in an individual teacher finding their own voice in the classroom and for the values of a liberal education. They aim to inspire other teachers to develop their own approach. I discuss methods to improve the writing ability of students. At my school, the only requirement of students to enter an AP English class was their willingness to do more homework. “If you stick with me and this class,” I told my students on the first day, “I can assure you that you’ll know a lot more about literature and how to analyze it, and your essay writing will be much better.” My book intends to show teachers what may be possible in an AP English class. Teach Me How to Work and Keep Me Kind, focuses on American literature and the short essay. It was the course taught to juniors at my school. Students read a novel a month, typical ones like Catcher in the Rye and The Adventures of Huckleberry Finn and Their Eyes Were Watching God, along with Cider House Rules, Ceremony, and Native Son. There were many short stories, from Hawthorne and Melville, Ray Carver and Ron Carlson, poems from Frost, Eliot, Kunitz (the title is from his poem “Father and Son”), Langston Hughes, Stephen Dunn. Students read and discussed nonfiction essays from Malcolm Gladwell, Atul Gawande, Adam Gopnik and J.K. Rowling.